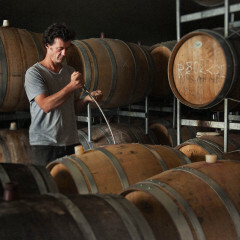 We craft exceptional New Zealand wine with passion, expertise and unwavering dedication to quality. 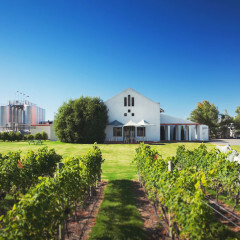 Our winery has a capacity to process 750 tonnes of fruit from our GIMBLETT GRAVELS WINE GROWING DISTRICT, Home Block and Kereru vineyards. 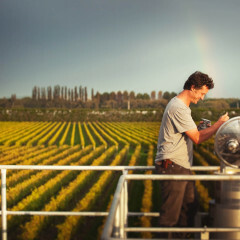 We have four vineyards in the GIMBLETT GRAVELS WINE GROWING DISTRICT: Elms, Mere, Southbank & Bridgeman from which we source our Syrah, Cabernet Sauvignon and Cabernet Franc. We have three wine tiers: our flagship icon wine Talisman – of which the blend and varieties remain a closely guarded secret; Winemakers Collection and Milestone Series.